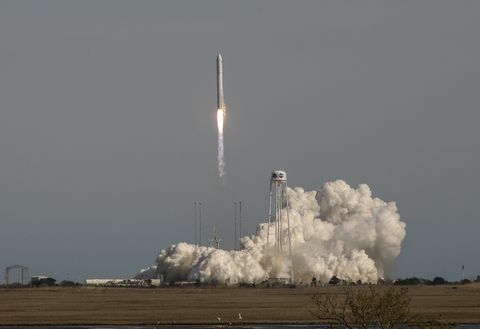 Northrop Grumman and its heritage companies are well-known for manufacturing the solid rocket motors that boosted the space shuttle into space for 30 years. The company makes a variety of solid rocket motors for various uses, and for different purposes. 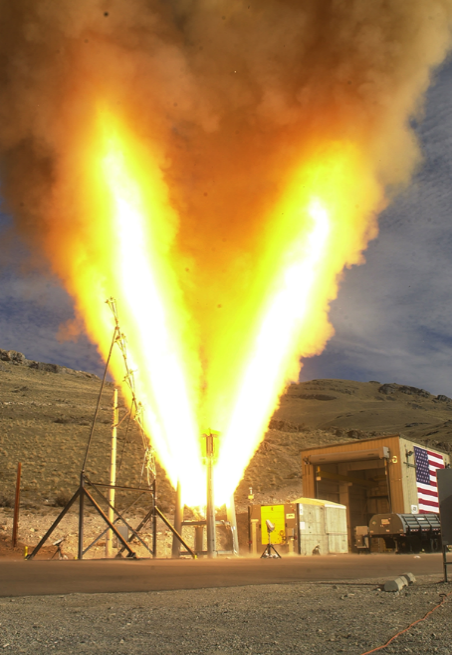 Here’s a look at why solid rocket motors are vital for our nation. This five-segment solid rocket motor is shown during a “static fire,” or ground test, as part of the qualification process for flight. 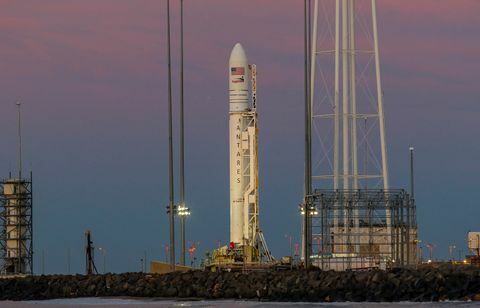 Slated for its first test launch in 2020, NASA’s new heavy-lift rocket, the Space Launch System (SLS), should be a magnificent event. At 321 feet, SLS (with the Orion crew module attached) will stand taller than the Statue of Liberty and will produce horsepower equivalent to 160,000 Corvette engines, or 31 Boeing 747 jets during lift-off. SLS will use two five-segment solid rocket boosters at lift-off to give it the thrust it needs to escape Earth’s gravity and reach the speed necessary to power the rocket into space. These Northrop Grumman-manufactured boosters include the largest solid rocket motors ever made for flight as part of a human spaceflight program, and are 25 percent larger than those used during the space shuttle era. 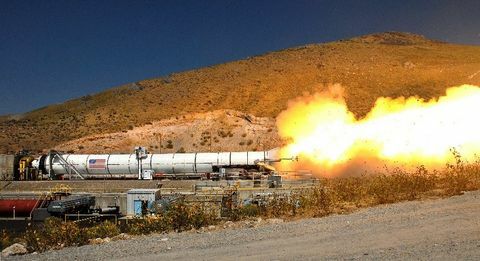 The launch abort motor that is manufactured by Northrop Grumman for NASA’s Orion spacecraft’s Launch Abort System, is shown here during a test that demonstrated the 400,000 pounds of thrust it provides in one eighth of a second to propel the crew module away from the launch pad if necessary. The Launch Abort System’s purpose is to propel the astronauts as far away from the rocket as possible should any problems occur that could put the crew in danger – much like an ejection seat in a fighter jet. The LAS is designed to transport the crew one mile above and one mile away from the rocket in a matter of four seconds. In order to travel two miles in four seconds, you need a lot of power. Still, Rominger is the first to admit that in order to have a successful flight, both liquid and solid propulsion are needed. SLS, LAS and other commercial motors are not the only applications where solid propulsion methods make the most sense. Because of their long shelf-life, solid rocket motors are used for defense missiles. They can be stored for many years with little maintenance costs, yet be ready for use at a minute’s notice – like the well-known Minuteman III. 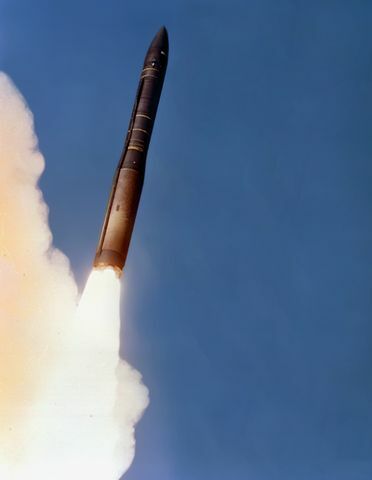 The Minuteman III is a missile that is stored in multiple locations across the United States. In the event of a hostile attack, these missiles can be deployed to a target location. Northrop Grumman has flown or tested more than 700 strategic-grade solid-rocket motors. Solids, strictly because of the way they are built, are the choice for fast ignition, heavy-lift propulsion that will deliver repeatable results. The ability to store the motors for extended periods of time with no quality loss makes them the ideal choice for the wide (and growing) spectrum of propulsion needs. 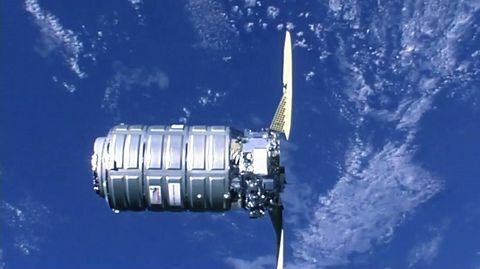 Learn more about Northrop Grumman’s propulsion systems here.